When it comes to choosing how to communicate with customers and clients, small business owners realize the importance of having a phone line. 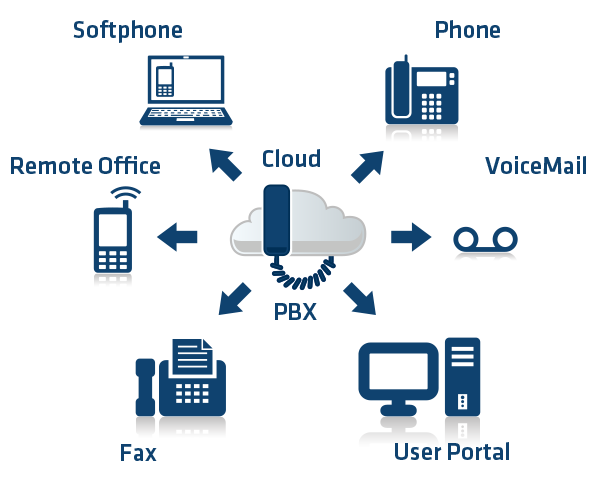 However, most owners are not fully aware that a Cloud PBX system comes with a variety of cost effective phone features that help to maintain a well-organized communication system in a business environment. At a fraction of the cost of AT&T and Verizon, Easytel’s Cloud Business Phone Service connects business calls to you and your staff anywhere, anytime! Easytel uses a nationwide fault-tolerant network with built-in redundancy. When reliability in your phone service should be a given, Easytel delivers with 99.99% annual uptime as a trusted leader in telecommunications. Easytel’s customizable call features have been described by one customer as “the Swiss Army knife” of phone systems. Have important callers simultaneously ring your mobile phone and your desk phone, have voicemails and faxes emailed to you automatically and block those pesky telemarketers. Whether you have three remote offices or three hundred people working from home, Easytel’s Cloud PBX brings all the features of the office to everyone. And with mobile apps for Android and iPhone, the office can be wherever you are. Each phone system is delivered preconfigured and tested. Installation is designed for the average user to get their office up and running in under an hour. Need help? Easytel Priority Business Support is available seven days a week from our California offices.